LONDON -- Britain's manufacturers told Prime Minister Theresa May on Monday to drop her threat that she might take the country out of the European Union without a new trade deal, saying they would bear the brunt of trade barriers with the EU. May plans to trigger the two-year Brexit process on Wednesday and she has warned the other 27 EU countries that no deal would be better than a bad deal. "The idea of being able to walk away empty-handed might be a negotiating tactic, but it would in reality deliver a risky and expensive blow," Terry Scuoler, chief executive of EEF, Britain's manufacturing lobby, said. "The rhetoric from the UK government needs to focus instead on achieving a deal that will work for the UK and the EU." May has decided to make control over immigration her priority for Brexit, and has conceded that Britain must give up its membership of the EU's single market and customs union in order to achieve that. In the absence of a deal, trade between Britain and the EU would default to World Trade Organization rules and tariffs. The EEF said British manufacturing exports to the EU -- such as cars, chemicals and machinery -- could face tariffs averaging 5.3 percent. There was also the risk of other obstacles to trade through customs procedures and higher compliance costs. Just over half of Britain's manufactured exports, as measured by value, go to the EU. Many factories rely on goods and parts crisscrossing the bloc during production, leaving them particularly exposed to any increase in trade barriers. Britain's Brexit minister, David Davis, has said that since last year's referendum, the government has not assessed the economic impact of leaving the EU without a new trade deal. Manufacturing accounts for about 10 percent of Britain's economy. Companies in the much bigger services sector are also worried about their future access to the EU's single market, especially in the banking industry. Separately on Monday, a think tank welcomed the government's plan to leave the EU customs union as the best way for Britain to strike trade deals with other countries, despite the risk of disruption in trade with the bloc. 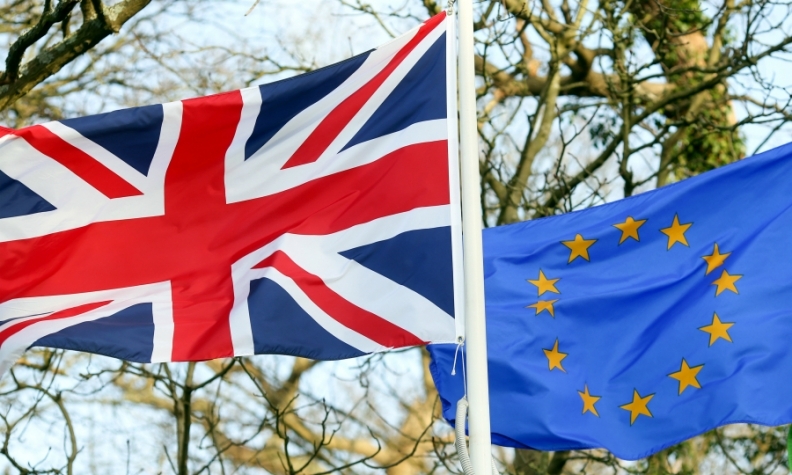 "The UK and the EU should aim for full customs cooperation as part of a comprehensive free trade agreement," Open Europe policy analyst Aarti Shankar said. "This is perfectly achievable, and the EU already holds customs facilitation agreements with other trade partners, including Switzerland and Canada."